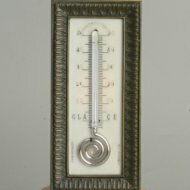 #2411 Antique gilded and patinated thermometer. 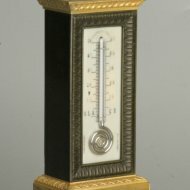 SOLD Antique french gilded patinated thermometer on ivory plate. 'Rouge griot' marble basement. Height 22,5 cm, wide 10 cm (basement).